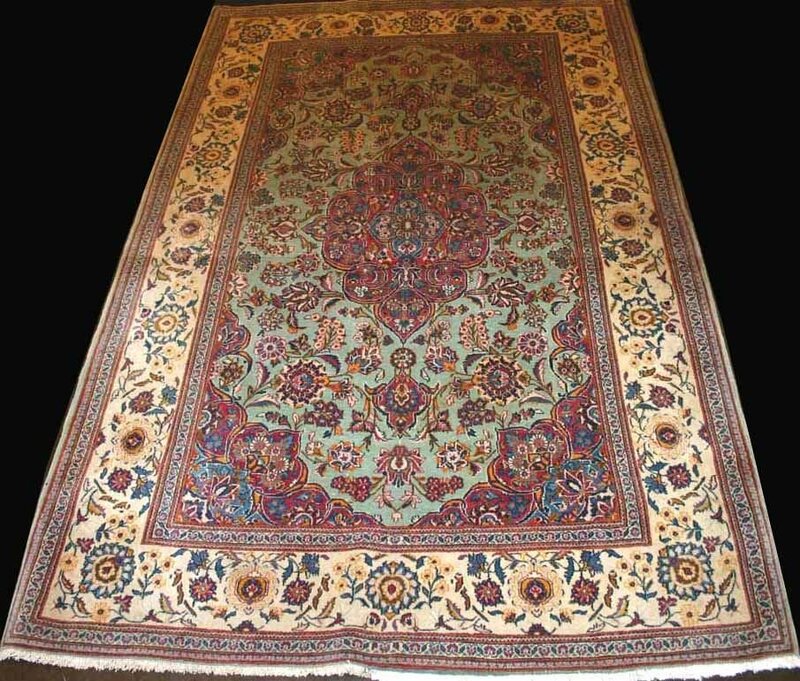 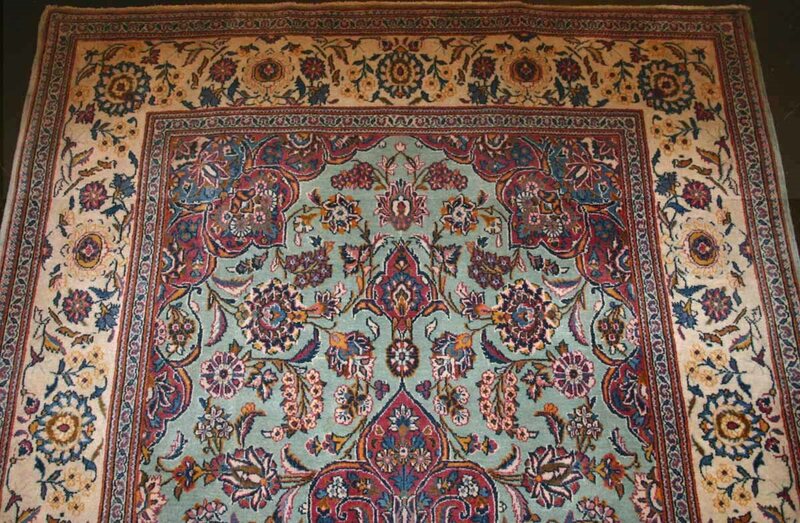 Kashan carpets are quite finely knotted. 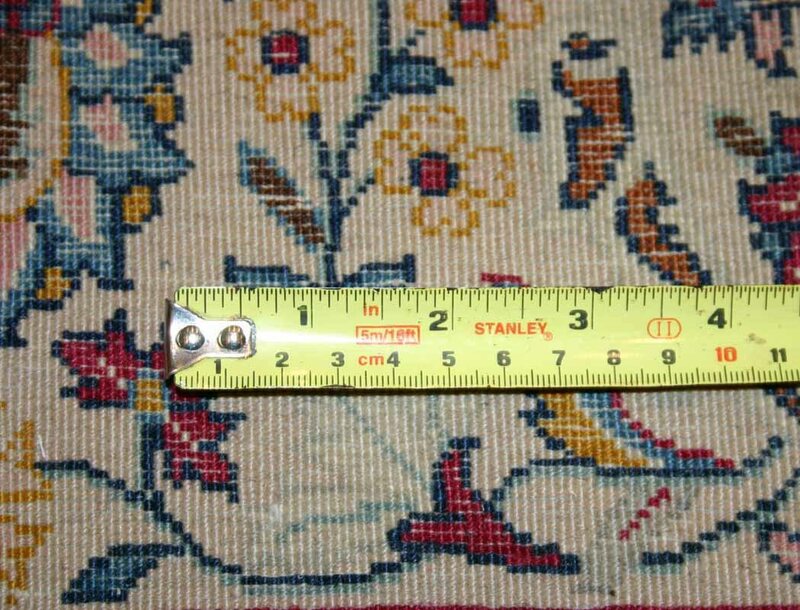 This has unique design with beautifully designed border. 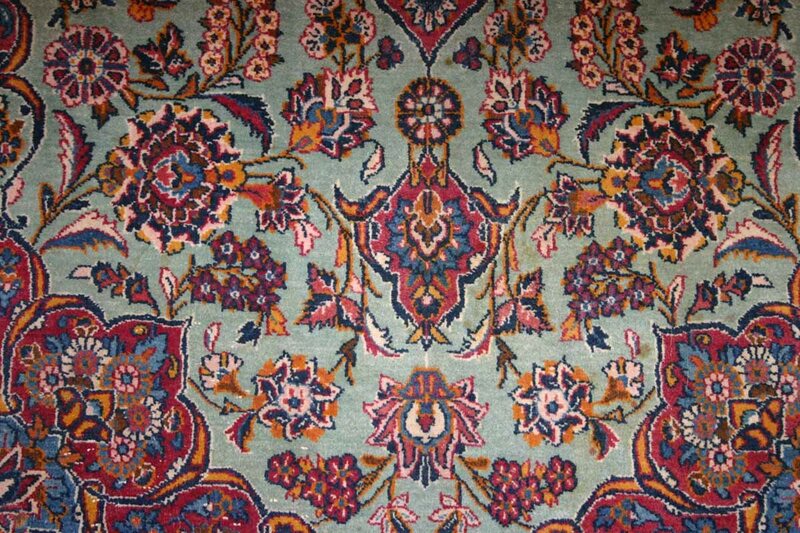 The center of the rug has a beautiful eastern pattern design. 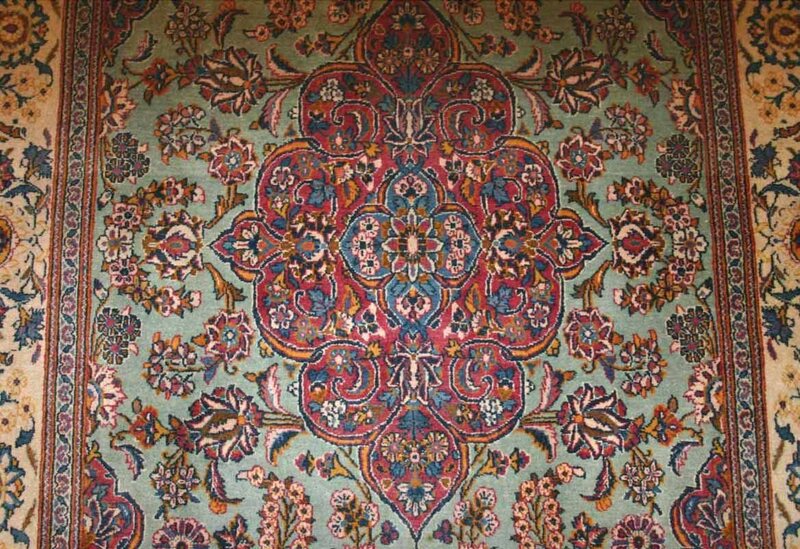 With this rug anyone can bring an eastern traditional symbol home. 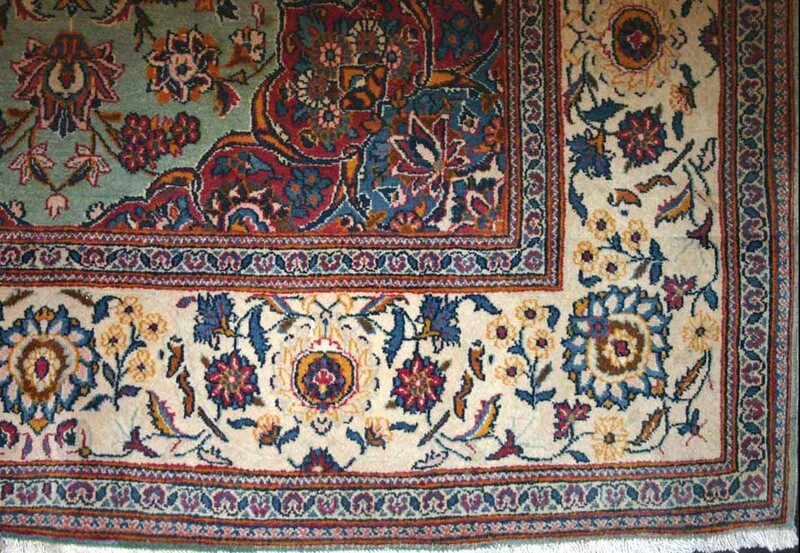 100% wool handmade piece, charming deisgn, one of a kind.